How a national treasure has used Splunk's Enterprise program to stamp its authority as an online brand. With over 150 years as one of the UK’s most admired and respected brands, John Lewis can make a great claim to becoming a truly British institution. But in a rapidly-changing and evolving e-commerce world, how does a brand with such a proud high street pedigree adapt to moving online? At the recent Splunk .conf 2017 event in Washington D.C., Paul Adams, John Lewis operational intelligence lead, described how utilising advanced analytics tools such as the Splunk Enterprise platform has really helped this transition. "I know every company likes to say that their reputation is key, but a company that's been around for 150 years and is owned by its employees is towards the 'national treasure' end of the spectrum," Adams told ITProPortal. Adams and his team at John Lewis first began using Splunk services five years ago, as part of a major re-working of the company’s website. They quickly spotted that operational intelligence tools, such as those provided by Splunk, could be key in spotting potential customer and maintenance issues long before they happen, and help the company ensure that using its site is as simple and straightforward as possible. "Operational intelligence is a type of question - will it work, is it working, and how is it working...I don't think that anything is better than that,” Adams noted. For a company that prides itself on its customer service, and being “never knowingly undersold”, choosing the right technology to boost support its online arm was vital. 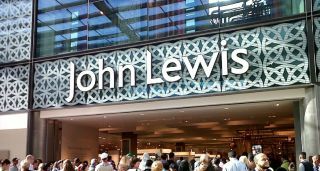 John Lewis uses a multi-site architecture, with two main data centres equipped with Splunk forwarders which can quickly collect vast amounts of data for indexing and analysis, using Splunk search heads. Adams and his team have also now expanded to start using the Splunk Enterprise platform, which allows the company to introduce far more complex analytics tools, including trend analysis, visualisations, customer behavior modeling, incident analysis, problem management and complex alerting. “Online has really changed the game in the way that the business functions, it's really driven that more agile and operationally aware focus on what we do,” Adams says, “so having a tool that allows you to visually interpret a huge raft of services is extremely useful." He notes that using Splunk has allowed the website team to identify where drop-offs occur in the ecommerce and checkout process, spotting issues ranging from fraud to incorrect card details. This has been vital as the growth of promotions such as Black Friday have become an integral part of business for many online companies, allowing the company to maximise customer time and ensure its image remains intact. Looking forward, Adams agrees that the results seen from working with Splunk has really gained interest from the rest of the business. "You need the initial buy-in to get yourself the product and get started - and it helps when you have a very risky, scary re-platforming project." "You have to provide results at these extreme moments of stress...and the good things about IT operations is that it does throw up those opportunities to shine." "People have higher expectations (with John Lewis), and if you mess them around, they're going to be upset,” Adams concludes. “We've been around for 150 years, so there's that emotional relationship - if someone close to you does you wrong, you'd be extremely upset, but if it's someone you don't know...then you're less bothered...people are hugely brand loyal."